DMK chief and Tamil Nadu political veteran M Karunanidhi, who passed away in Chennai on Tuesday evening at the age of 94, is survived by two wives and six children. Karunanidhi who started his political career as a student wing leader at the age of 14, married thrice. His first wife Padmavathi, died at an early age and left behind a son Muthu, who would later go on to dabble in films and politics but succeed in neither. Muthu has a son Aruvinidhi who also nurtures political ambitions but hasn't forayed into active politics yet. Karunanidhi married again in 1948 with Dayalu Ammal, from whom he has four children. His eldest son, MK Alagiri, has been active in politics, while second son MK Stalin is touted to be the apparent heir to Karunanidhi's legacy in Tamil politics as he is a prominent DMK leader who is expected to become the next party chief. He has another son Tamizharasu and a daughter Selvi from his second marriage. Only Alagiri and Stalin have been active politicians and they have been at loggerheads with Alagiri openly criticising Stalin for being a 'non-working' president after he was made the working president of DMK since Karunanidhi's retirement. Alagiri, a former Union minister, was in fact expelled from the party in 2014 before the Lok Sabha elections due to alleged 'indiscipline' and 'anti-party activities'. Kalaignar, as Karunanidhi is fondly called, married the third time in 1960 with Rajathi Ammal, from whom he has daughter Kanimozhi. 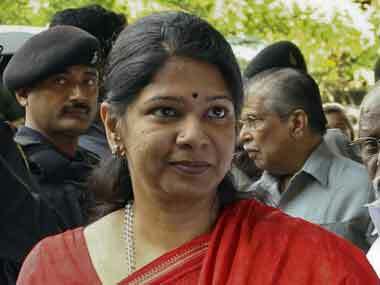 Rajathi's name had cropped up in the Nira Radia tapes case for alleged corruption but the CBI did not find any evidence to implicate her in the same and she was thus acquitted by the courts. 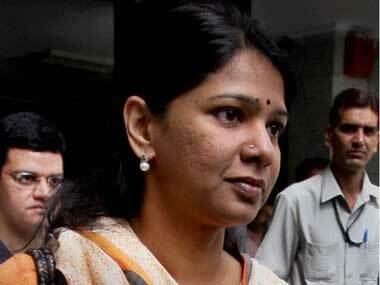 However, her daughter, Kanimozhi who is a Rajya Sabha MP from Tamil Nadu, was chargesheeted by the CBI in the 2G spectrum case for the alleged scam in the dealings of Kalaignar TV, a television channel owned by the family. But she was later acquitted in 2017 by a special CBI court along with former MP A Raja. 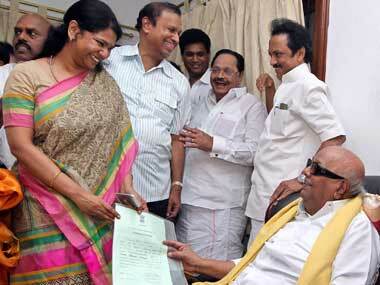 The political ambitions, however, have trickled down to the third generation of Karunanidhi's family as well. 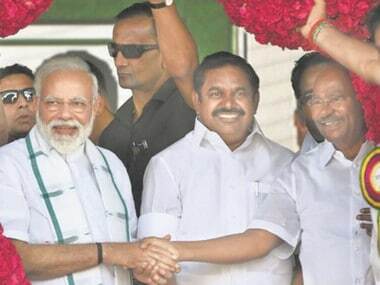 His grandson Arivunidhi (Muthu's son), Durai Dayanidhi (Alagiri' son) and Udayanidhi (Stalin's son) all harbour the dream of entering politics soon. It is his granddaughter Kayalvizhi (Alagiri's daughter) who is reportedly all set to make her political debut. Karunanidhi has another granddaughter in Senthamarai (Stalin's daughter) but it is unclear as of now if she will enter politics. Karunanidhi also had a sister Shanmugasundari, who has two sons Murasoli Selvam and Murasoli Maran. While Selvam is the DMK mouthpiece's editor, Maran is a former Union minister. It is Maran's son Kalanidhi who owns the famous Sun TV network, whereas his other son Dayanidhi Maran was also a Union minister in the UPA government in 2004. It is interesting to note, that Dayanidhi Maran who is a former telecom minister was also accused of scam in a telephone exchange case during his tenure. 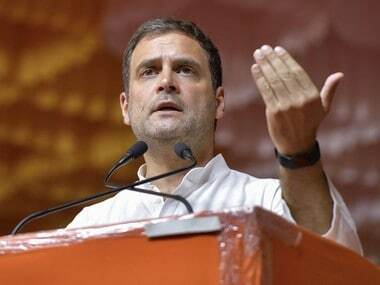 However, it is Karunanidhi's son Stalin and daughter Kanimozhi who continue to remain prominent party faces and leaders of his Dravidian legacy after his death due to prolonged illness.